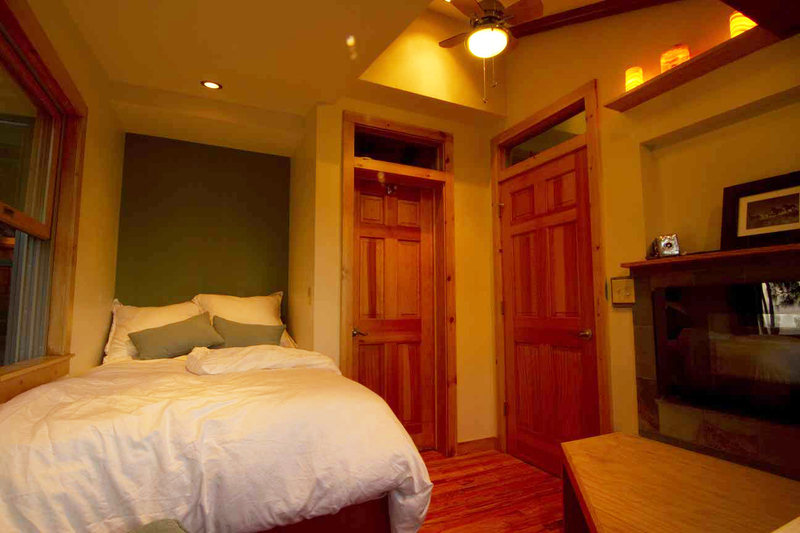 This cozy bedroom offers a “super-twin” size bed (extra long and wide), fireplace, ceiling fan, and a shared bathroom and shower. This is the only room with original wood flooring, resurfaced, stained and polished to perfection. 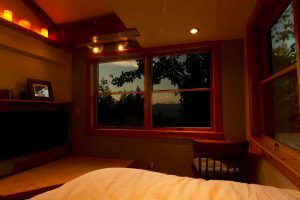 This room is on the north side of the retreat creating fantastic views of majestic Mt. Shasta and Shasta Lake.